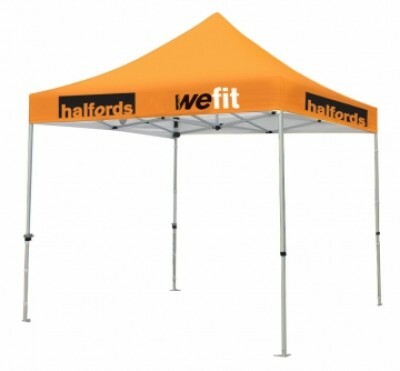 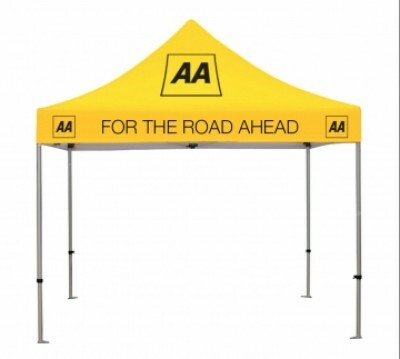 This versatile marquee comes with durable hexagonal aluminum profile constructed frames, fully printed canopy and valance. 3m wide x 3m deep x 3.25m high. 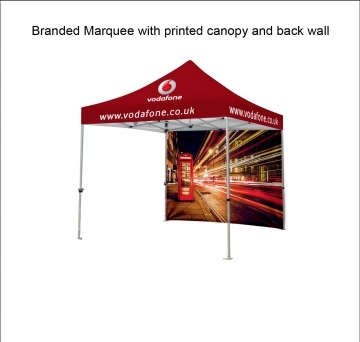 Printed with vibrant colour dye sublimation print on fire retardant material with additional UV99 silver coating UV protection.